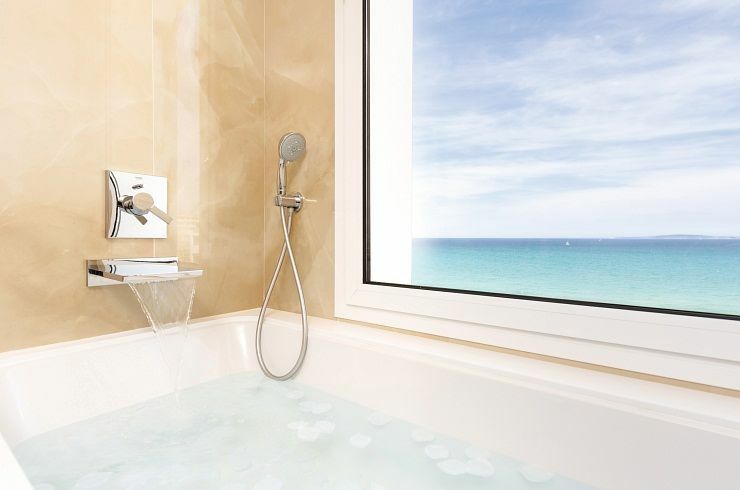 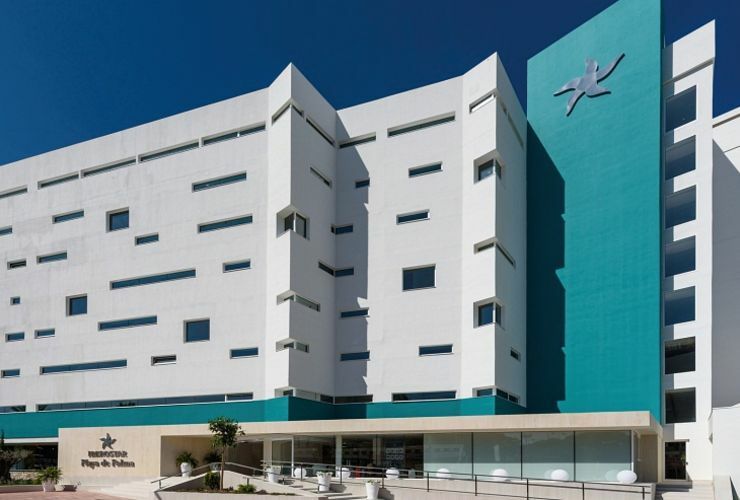 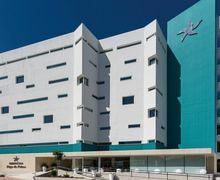 From this summer onwards, the five-star Hotel IBEROSTAR Playa de Palma will have a very special offer for its most demanding and select customers: GROHE, the world’s leading provider of sanitary fittings, inaugurates the first GROHE Experience Suite in Mallorca. 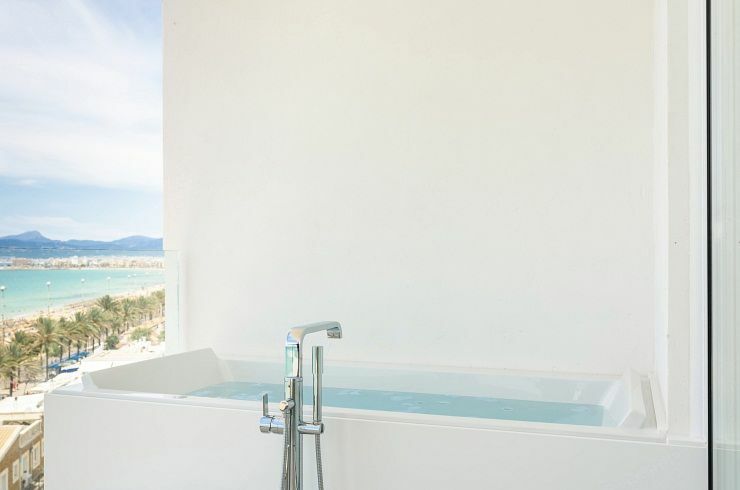 With over 100m2, the GROHE Suite Spa Mallorca is located on the 7th floor of the hotel, allowing guests to enjoy the advantages of a large outdoor space with outstanding views of the city’s main beach. 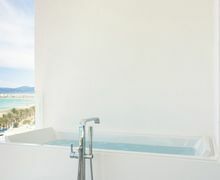 It has a large and bright bedroom-living room, a large terrace with an outdoor bathtub and a first-class GROHE bathroom to enjoy a private spa experience. 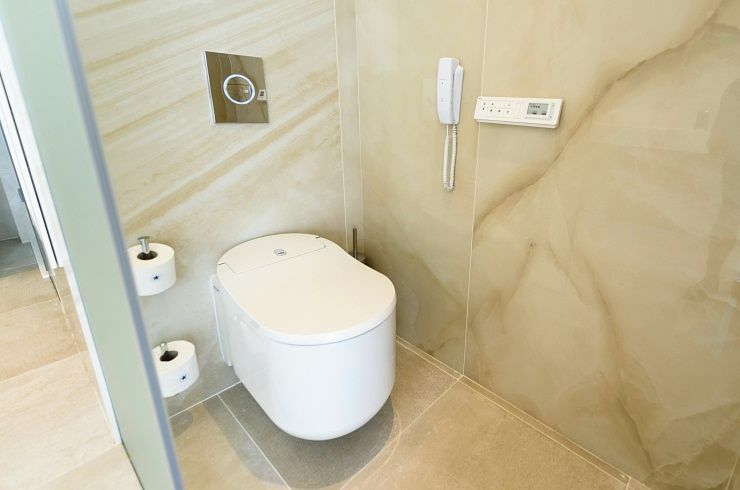 The suite is equipped with the latest technology of the German brand and has been designed to provide a total sensory experience to the customer, which leads to relaxation and enjoyment for all senses. 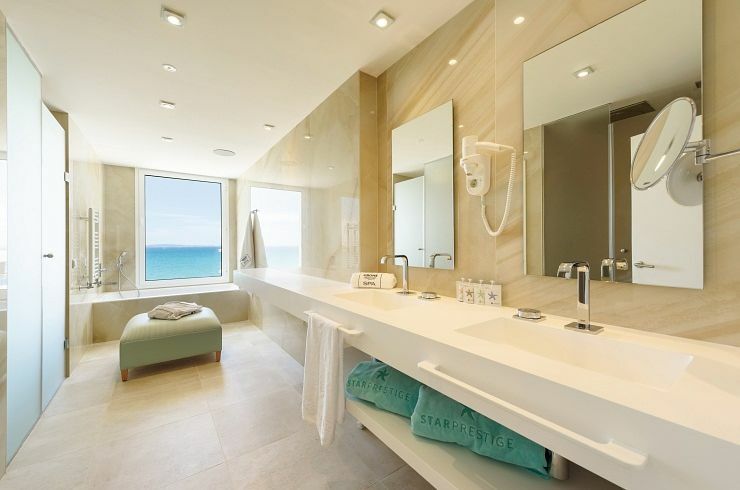 It is divided into the washbasin area, the shower area, the indoor and outdoor bathtubs and the shower toilet area. 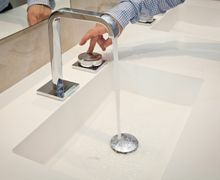 One of the most exclusive and innovative collections, GROHE Allure F-Digital, plays a leading role in the washbasin area. 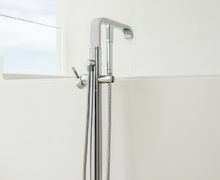 It incorporates a state-of-the-art digital mixer, which gives the user high precision and control when selecting the desired flow and temperature and allows easy-to-use operation for all users. 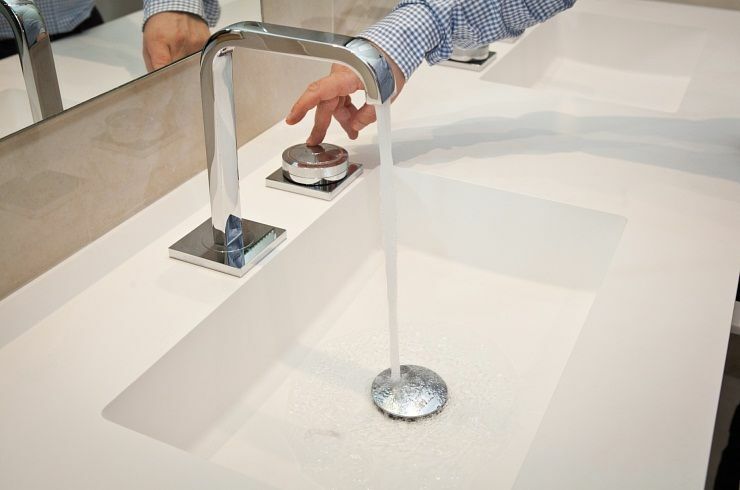 Thanks to its LED technology, the faucet shows real-time visual information on the water temperature. 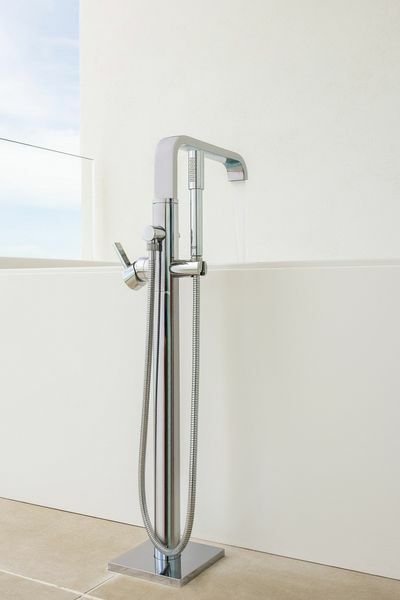 In addition to this, due to its electro valve technology, the water mixing time is instantaneous. 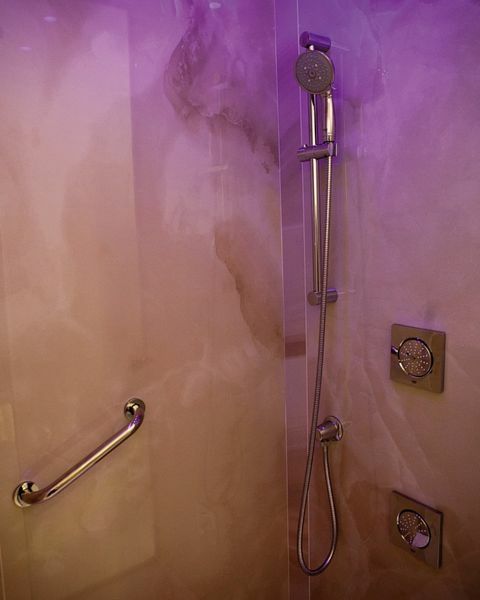 The shower area takes the spa experience to the highest level. 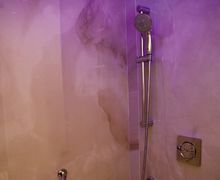 Equipped with an exclusive F-digital Deluxe shower cabin, it features a large rain shower head, chromotherapy, side massage shower sprays for the lumbar area, ambiance sound and coordination with the playlist of the mobile phone as well as different types of steam generators (hammam or Turkish bath) to create the desired thermal changes. 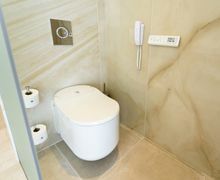 All of it controlled by a programmable touchscreen panel where the guest can set the desired temperature and duration of the shower.